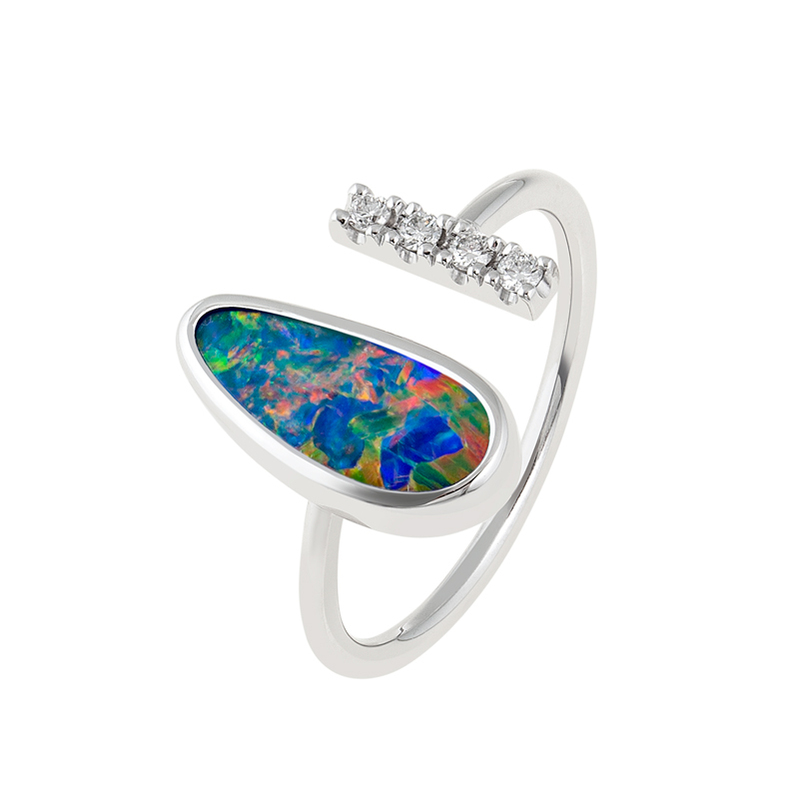 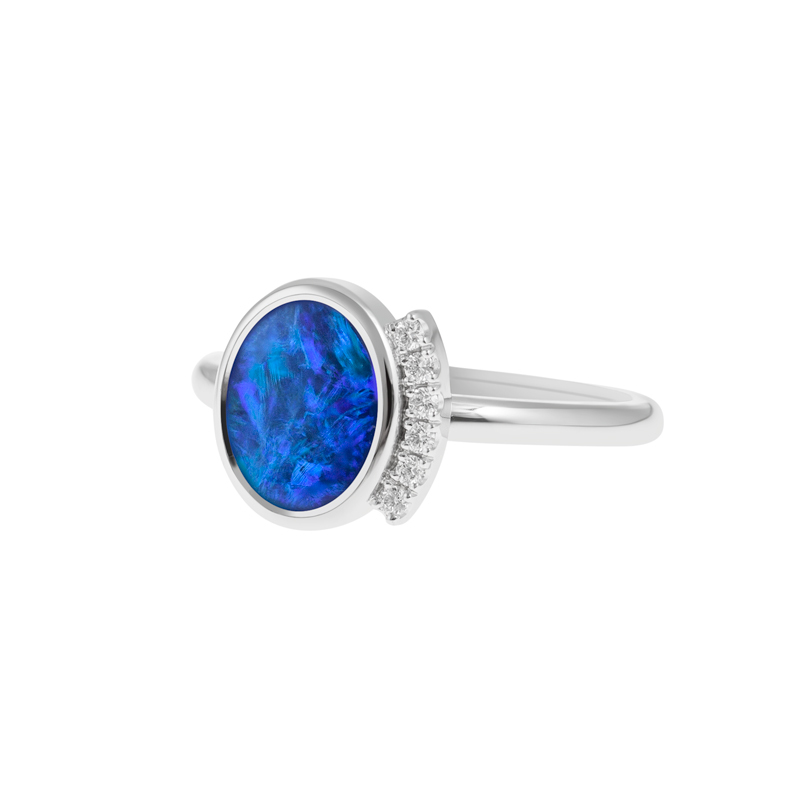 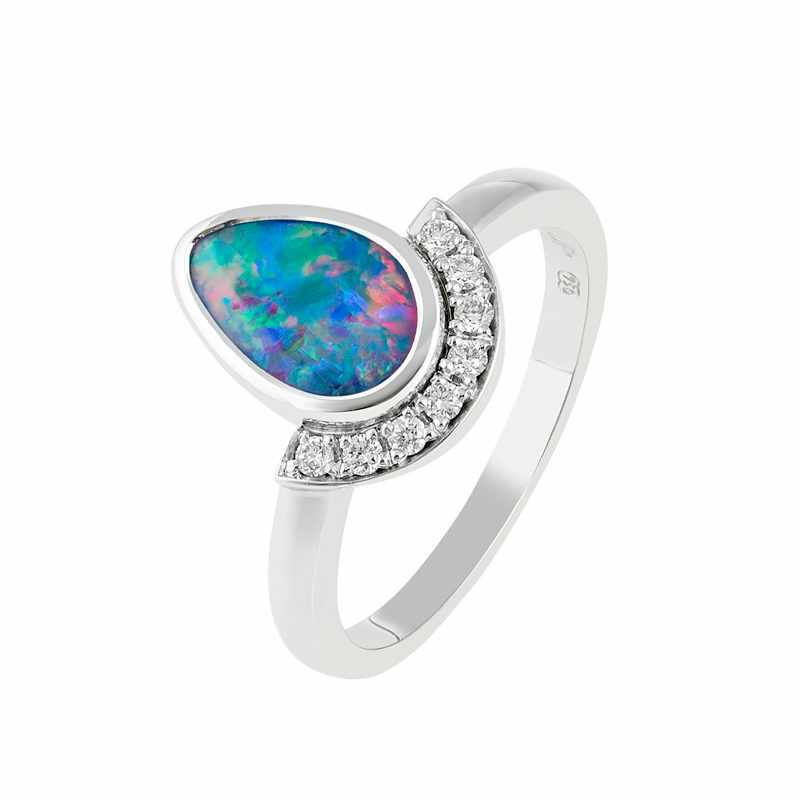 Pastels combine in this beautiful opal to create a gemstone so unique and mesmerising you will be caught staring into it! 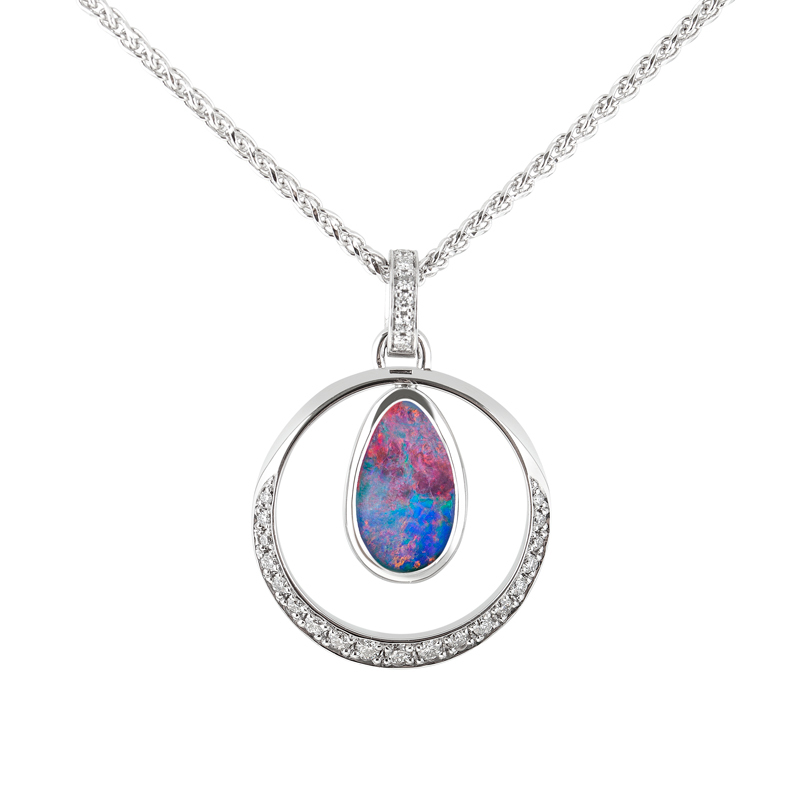 Topped off with a modern half halo, the only thing you’ll be left wanting for is the matching pendant. Combine with one of our Vera stacker rings for an added wow factor.